A will is not actually permanent until its writer, called a testator, dies. Thus, while a testator can allow others to read his will, he can also keep it a secret. Even if he allows others to read a version of his will or files it with a local court, he can change it at any time prior to his death. In many states, like Texas, testators can file their wills with a local government office, such as a county clerk. However, this is typically optional. Filing the will gives the testator a safe place to store his will, ensuring it won't be lost somewhere amongst his other papers after his death. A testator may even be able to include contact information for those he wants notified after his death that his will is on file. These individuals can retrieve the filed copy of the will after the testator dies and submit the will to probate. 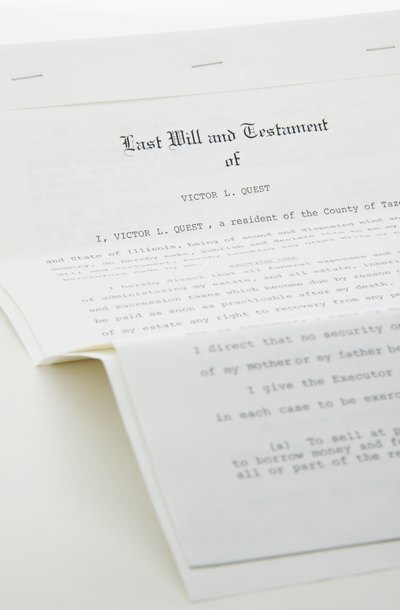 However, filing a will does not necessarily give others access to the document before the testator's death and procedures can vary greatly by state law. A testator can keep his will completely private, not letting anyone other than a handful of neutral witnesses or an attorney see it. Generally, there is no way to force a testator to give up a copy of his will before he dies. However, a testator can choose to share copies with his loved ones so that the terms of the will do not come as a shock after his death. Testators are free to change the terms of the will, though, even after giving copies to others. Lippincott Phelan & Veidt PLLC: Texas Probate and Estate Planning Law Blog: Do I Need to File My Texas Will?